ES-50 is the bigger version of E-Image's Double Sliders with a 50 cm length. 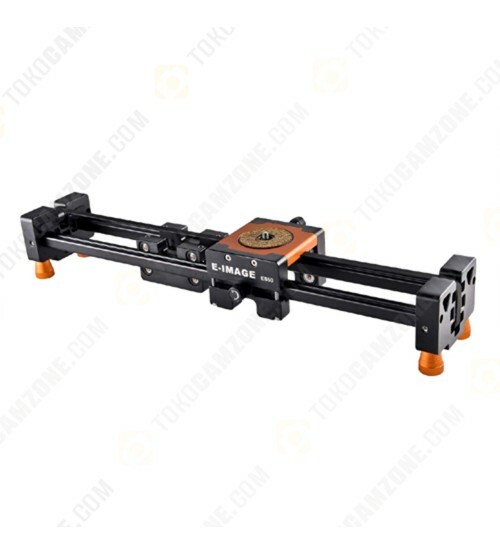 If mounted on a tripod the sliding range doubles compared to using it on the ground (or regular sliders). The double sliding range is thanks to the moving rails. The ES50 moves as a whole. More mass travels, giving smoother, more even starts and stops compared to regular sliders. If lens is facing the rails when pulling the camera back, the rails also retract so they don't interfere or interfere less with the shots.